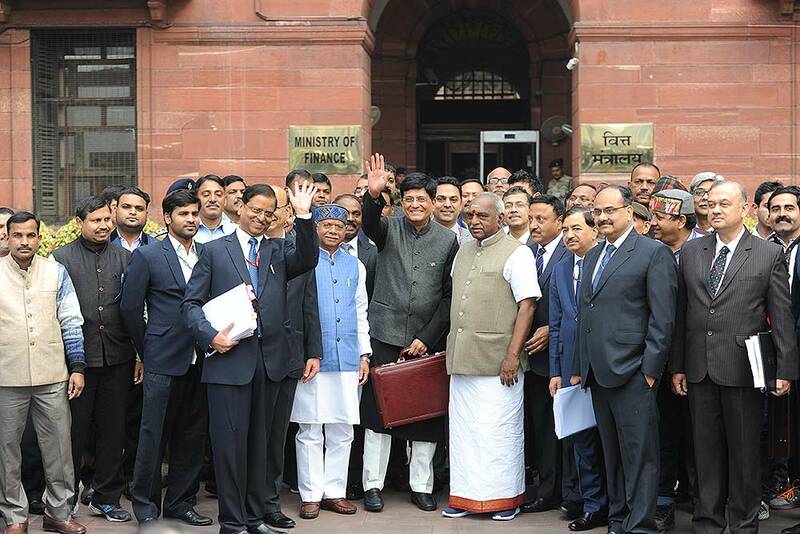 Presenting the interim 2019-20 union budget in Parliament, Finance Minister Piyush Goyal announced a cash dole for small farmers, a mega pension scheme for the unorganised sector and doubled the threshold income tax exemption limit to Rs 5 lakh. 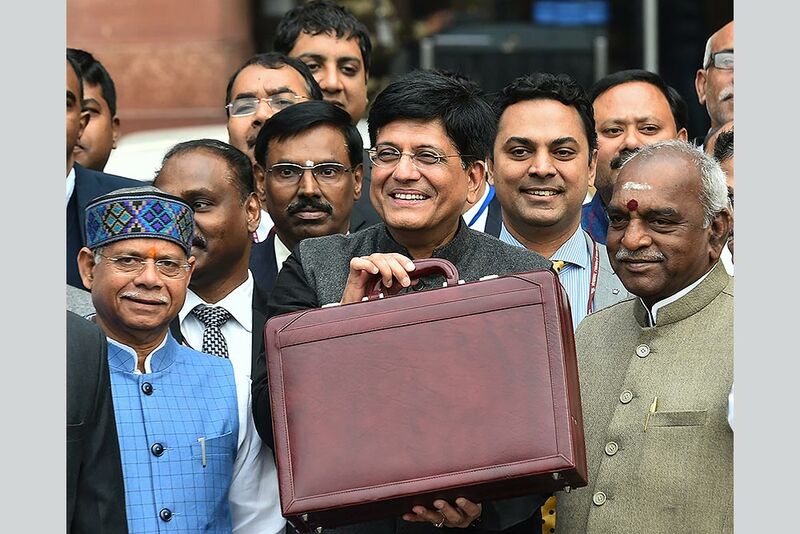 Interim Finance Minister Piyush Goyal, center, holds a briefcase containing federal budget documents with Junior Finance minsters Shiv Pratap Shukla, center right, and Pon Radhakrishnan, left, pose for the media on their arrival at the parliament house in New Delhi. 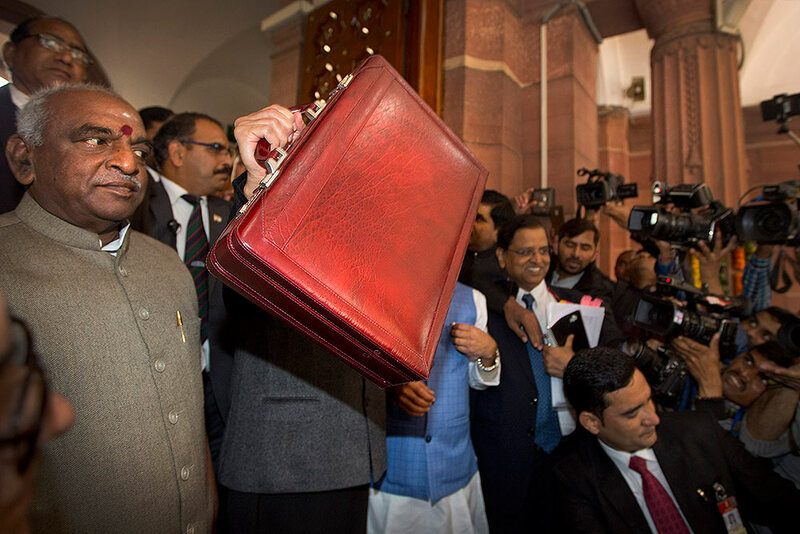 The Bharatiya Janata Party-led National Democratic Alliance government will present its last budget of five-year tenure on Feb. 1 as it prepares to face tens of millions of voters in national elections to be held by May. 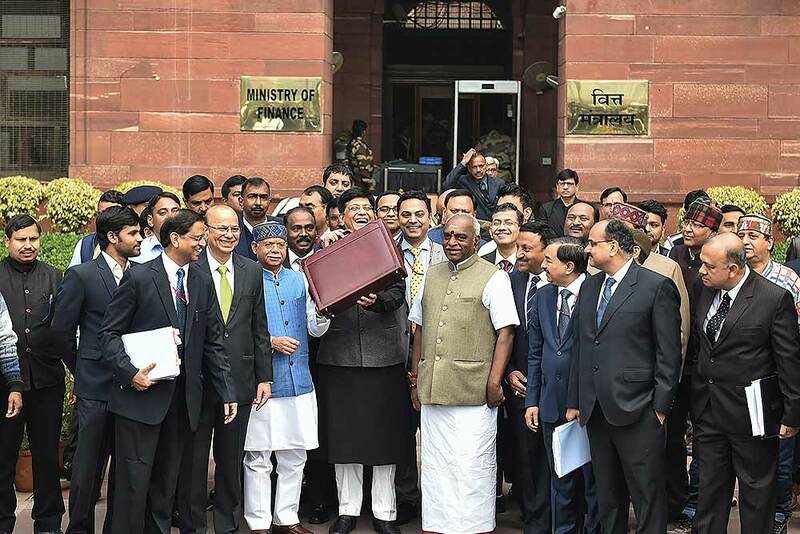 Junior Finance minster Pon Radhakrishnan, left, looks as Interim Finance Minister Piyush Goyal, center, shows a briefcase containing federal budget documents upon their arrival at the parliament house in New Delhi. 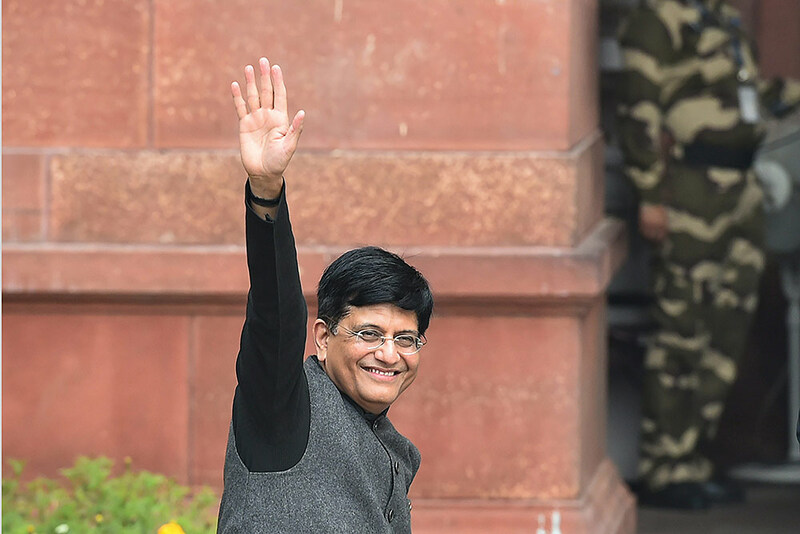 Interim Finance Minister Piyush Goyal arrives in Parliament to present the budget, in New Delhi. 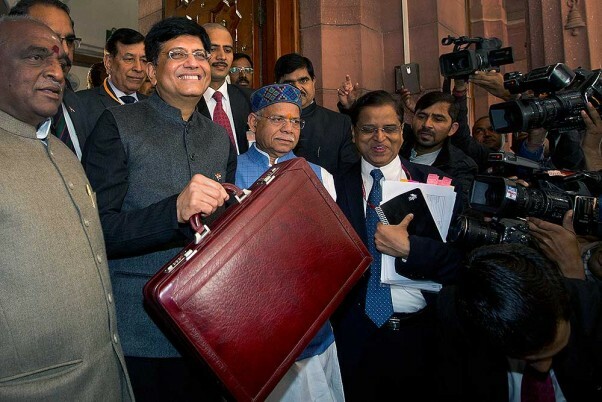 Interim Finance Minister Piyush Goyal (C) displays a briefcase containing the Union budget to be presented at the Parliament outside his North Block office in New Delhi. 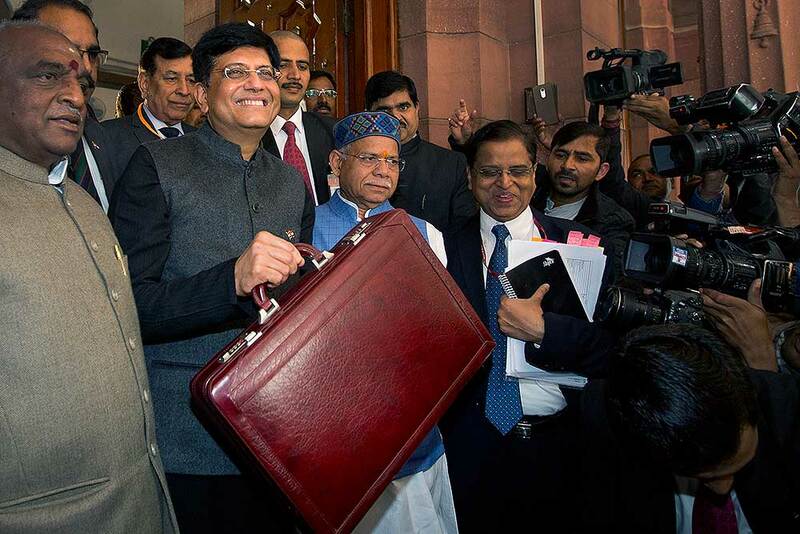 Interim Finance Minister Piyush Goyal (C) displays a briefcase containing the Union budget to be presented at the Parliament today, outside his North Block office in New Delhi. 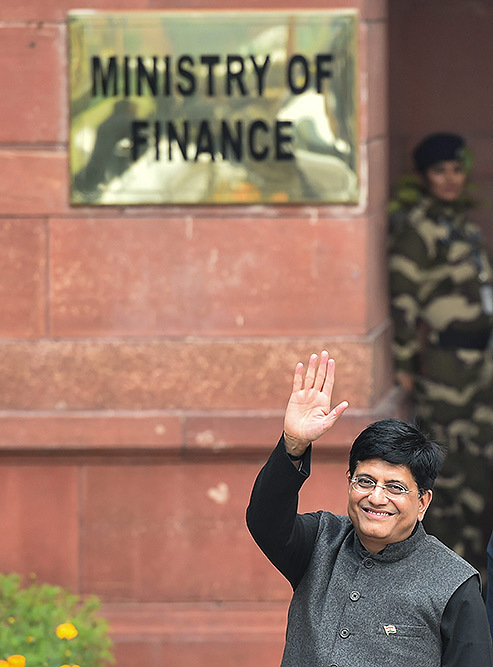 Interim Finance Minister Piyush Goyal arrives at North Block to present the Union Budget at the Parliament, in New Delhi. 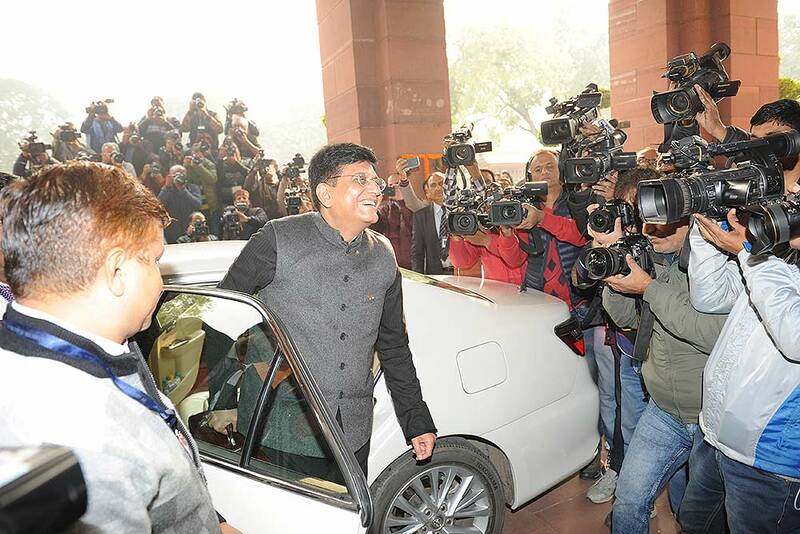 Interim Finance Minister Piyush Goyal arrives at North Block in New Delhi. 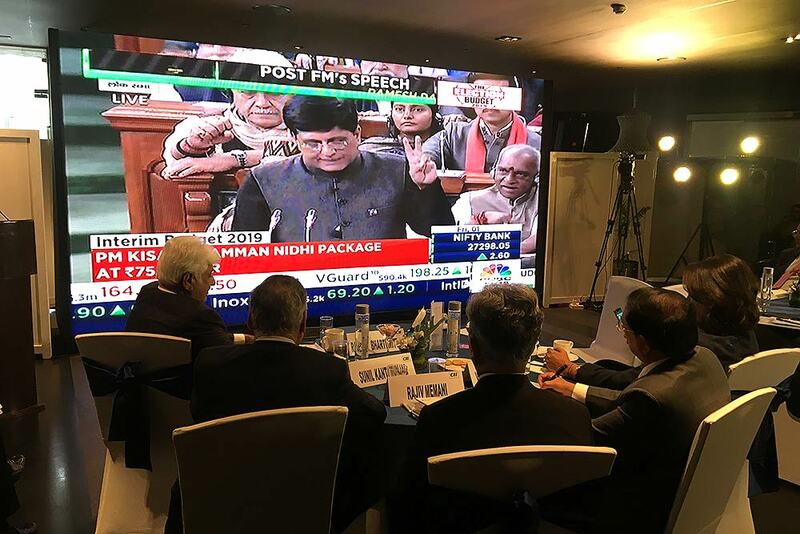 Goyal will be presenting the interim Budget 2019-20, in Parliament. 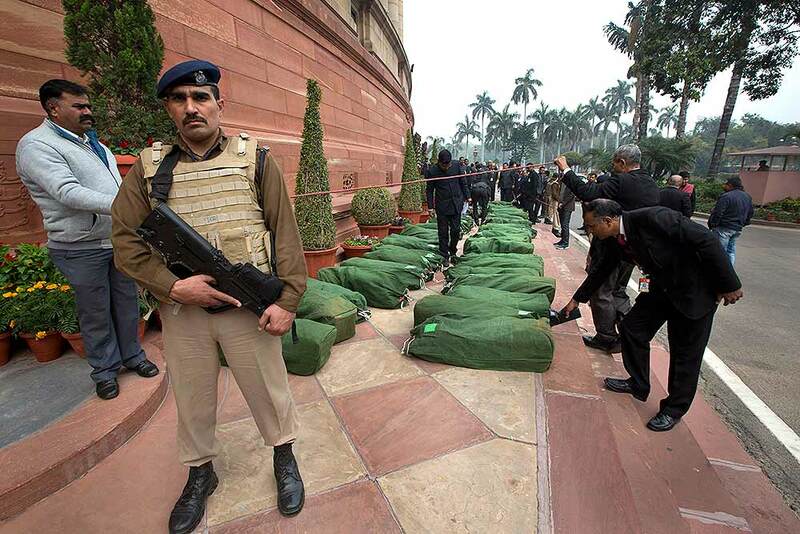 Security officers checks the Union Budget papers outside the Parliament building in New Delhi. 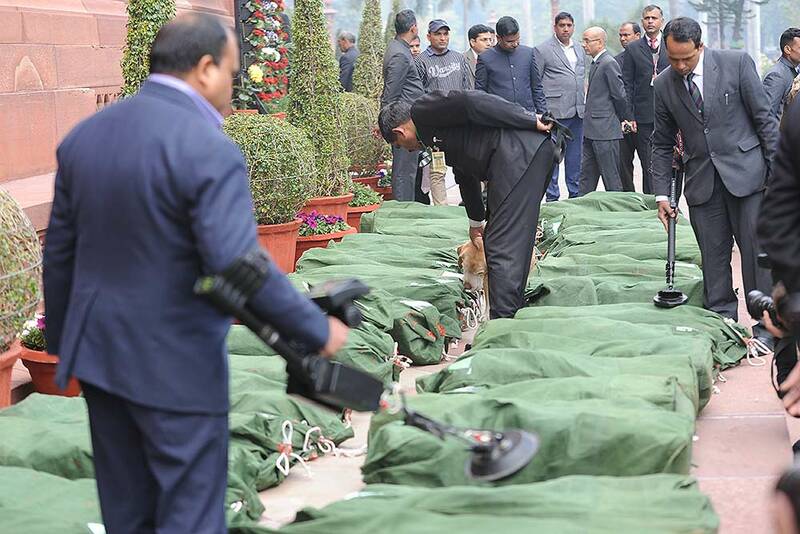 Security men stand guard near interim federal budget documents for the year 2019, that will be distributed to lawmakers at the parliament house in New Delhi. 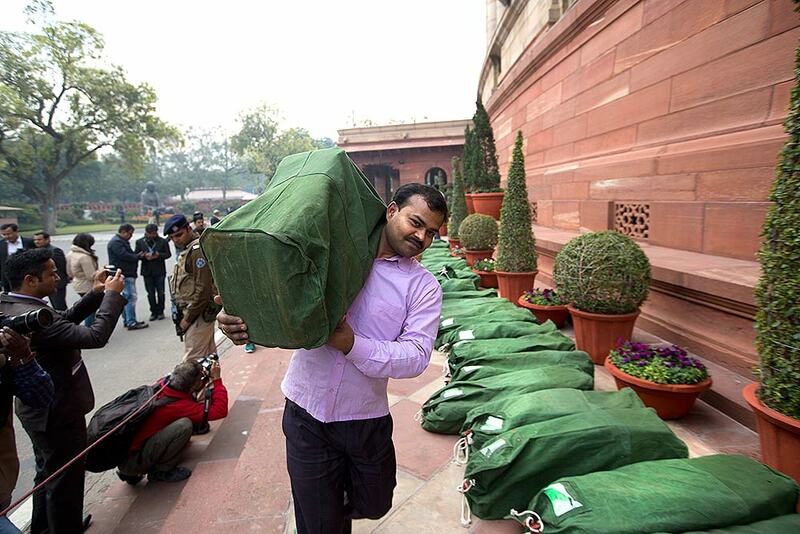 A worker carries a sacks containing interim federal budget documents for the year 2019, that will be distributed to lawmakers at the parliament house in New Delhi. 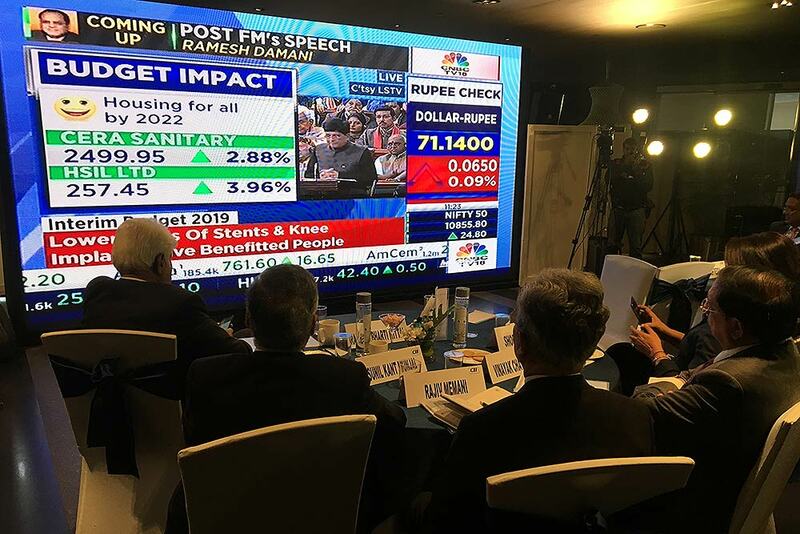 Industrialists at CII headquarter watching Union Budget 2019, in New Delhi. 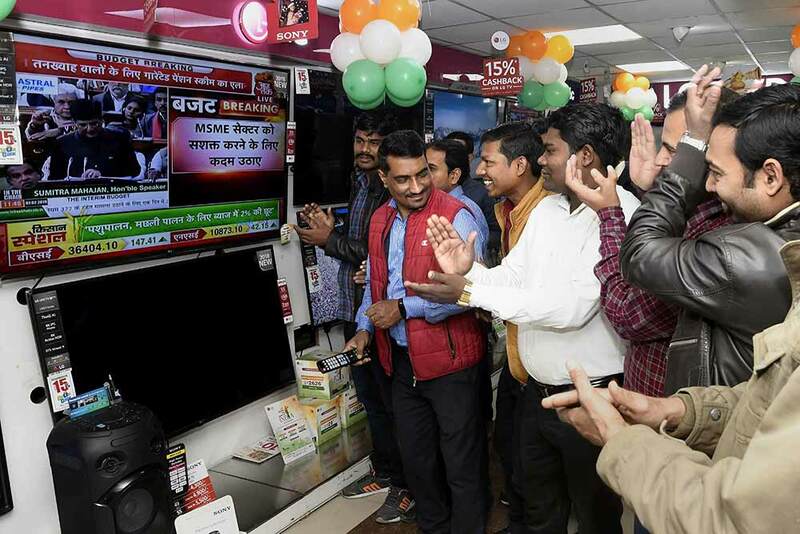 People watch the interim Union Budget 2019-20 being presented by Union Finance Minister Piyush Goyal on television screens at a shop in Patna. 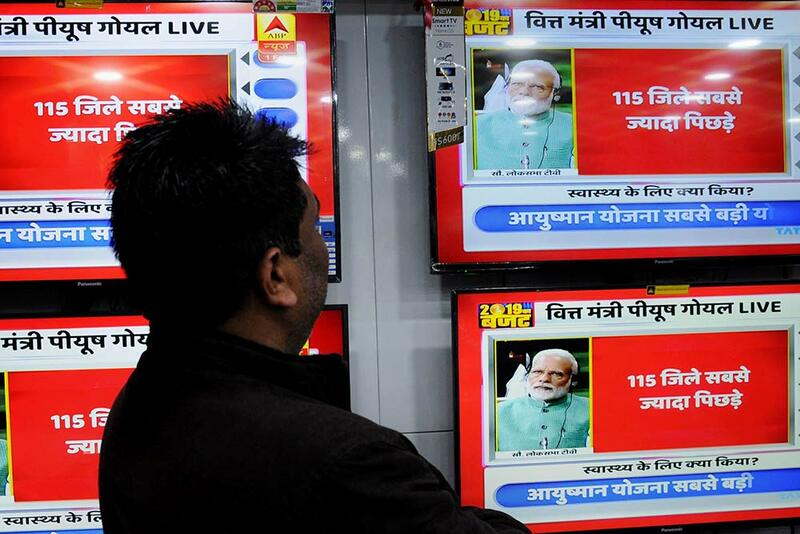 A man watches the interim Union Budget 2019-20 being presented on television screens at a shop in Amritsar. 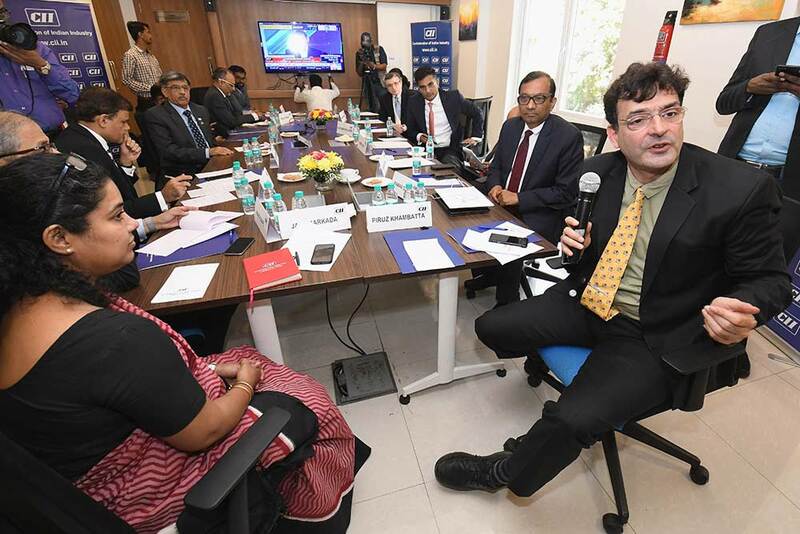 Business leaders at a Budget Viewing session 2019-20 as Finance Minister Piyush Goyal presents the interim union Budget 2019-20, at FICCI House in New Delhi. 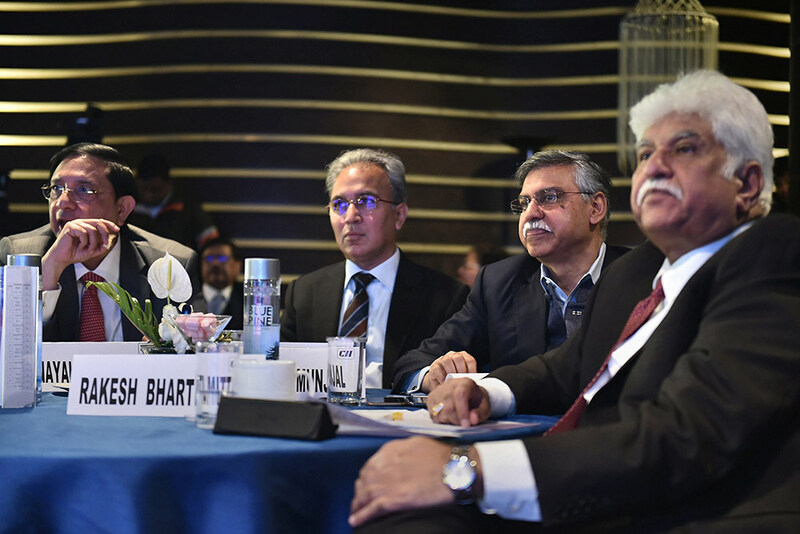 CII Western Region Chairman Piruz Khambatta with Mahindra Group Managing Director Pawan Goenka and other business leaders react after the announcement of interim Union Budget 2019-20, in Mumbai. 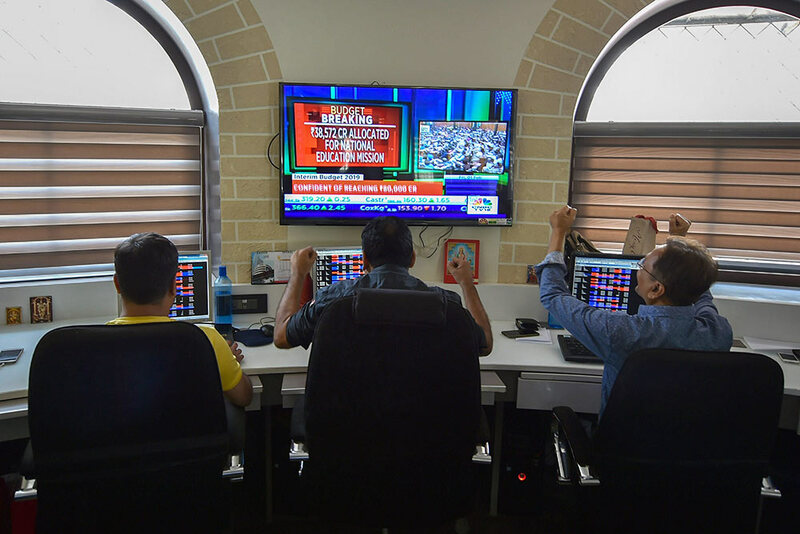 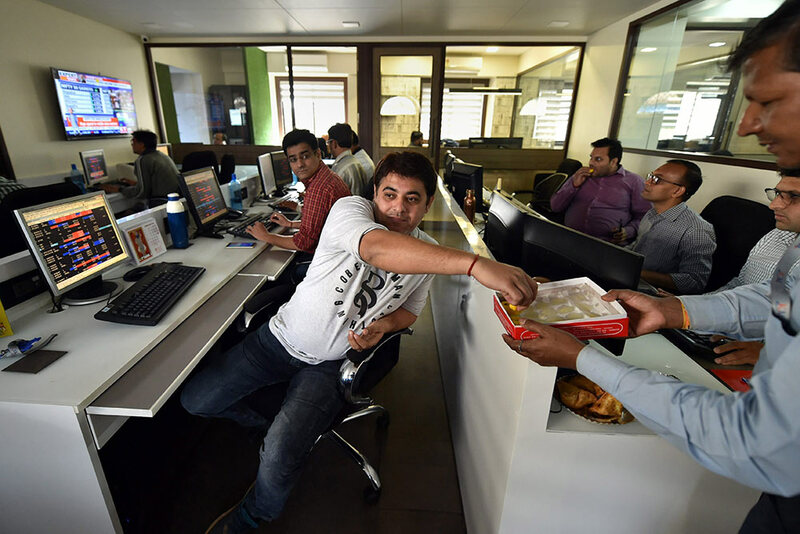 Brokers at Bombay Stock Exchange (BSE) building react to the announcement made during the interim Union Budget session 2019-20, in Mumbai. 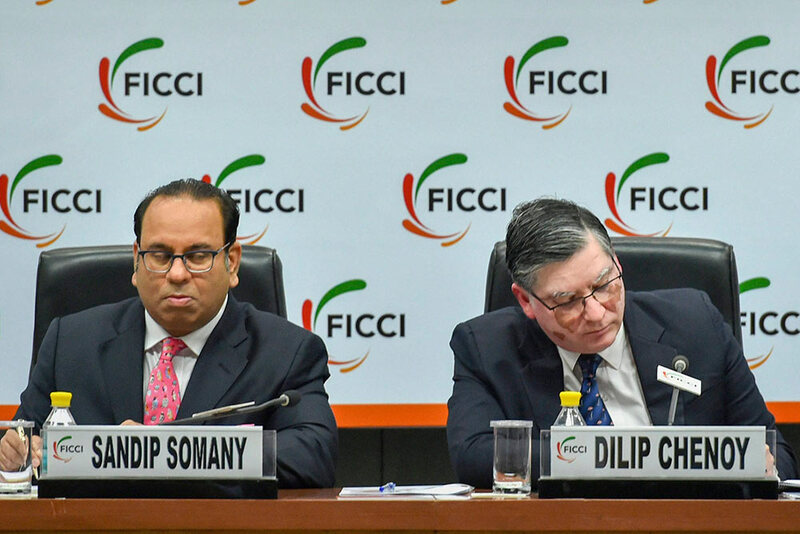 FICCI President Sandip Somany and General Secretary Dilip Chenoy at a Budget Viewing session 2019-20 as Finance Minister Piyush Goyal presents the interim union Budget 2019-20, at FICCI House in New Delhi.